Good morning lovelies! Today is Easter, a special day. A day most will associate with colored eggs and chocolate bunnies, but it is so much more. It is a day to remember how the world changed. A day to remember how our Savior did the unthinkable. He loosened the bands of death and rose again. "Jesus is the Son of God, our Savior and Redeemer. Because of Him, death is not the end, and life takes on new meaning. We can change, we can start over—and we can live again with God. 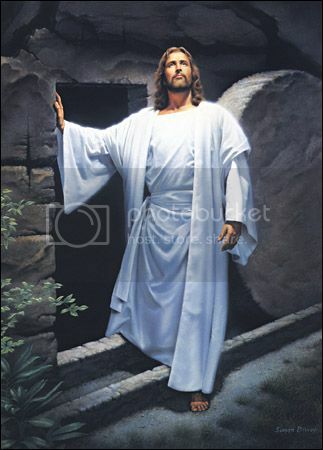 This Easter, celebrate His life and discover all that’s possible because of Him".